“Choosing a program for a concert is a challenge. Each song must complement the others, forming a cohesive whole while still standing out as individual numbers. This becomes even more difficult when you aren’t exactly sure what a song sounds like, and won’t know for certain until after you’ve ordered the music. Bloody Bloody Andrew Jackson was named the “best live theatrical event” in the Best of Nashua category in the Hippo’s annual Best of issue! This means of the thousands who voted, we made the top four! The other three events were from very established professional companies – the Palace Theatre and Capitol Center for the Arts. Congratulations to all of the winners, but thank you all SO MUCH for your support and for spreading the word about what we do here at NYMMT! We also made the front page of the arts section this week. See page 15 and page 28 here. “For every successful musical like “Fiddler on the Roof” or “Chicago,” there’s a flop like “Dude” or “Via Galactica” that barely saw the spotlight of day. Can you name the biggest musicals of 1962? How about the ones that weren’t so big? Delve into the lesser-known aspects of musical theater history – and have plenty of laughs along the way – at “An Evening of Unfortunate Entertainment: 1962” at 7 p.m. at St. Peter’s Church, 3 Peabody Row in Londonderry. Emceed by Deb Shaw and directed by Jamie Feinberg, this concert will feature lesser-known musical theater selections from the year 1962, set within their historical context. The cast includes Sheree Owens, Anja Parish Ward, Glen Grimard, Joey T., Sarah Murai, Elliot Owens, Lauren Friedman, Dave Ostrowski and Jocelyn Duford. This is the first concert in a family-friendly five-part series, with the remaining four concerts spotlighting the years 1972, 1982, 1992 and 2002. Admission is by donation, with a suggested donation of $10 for adults, $5 for students. 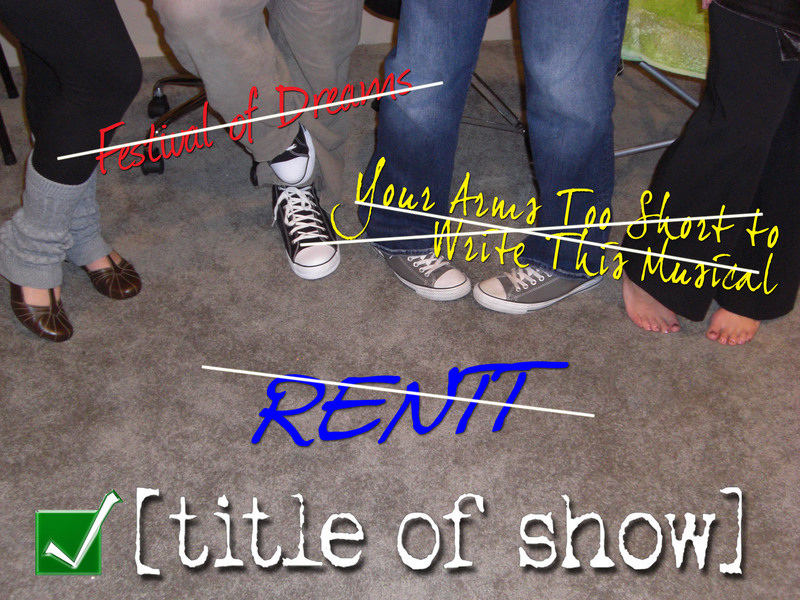 For more information, visit http://www.notyourmomsmusicaltheater.com or email notyourmoms@gmail.com. And the Encore (in the Telegraph) in Nashua ran a cover story on us! Click here. Just found this blurb at Encore Buzz. Here is what people were saying about our recent production of The Musical of Musicals: The Musical!, as well as links to full length articles about the show. To read the buzz about the show that ran in the Nashua Telegraph the week prior, click here.